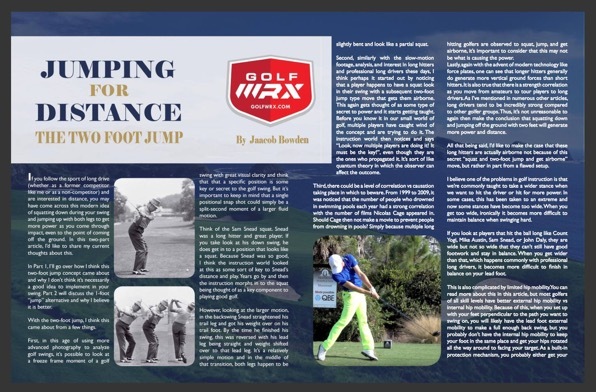 In cased you missed Part 1 of my GolfWRX.com article on "Jumping for Distance", you can also check out the re-print of it in Volume 2 Issue IV of the Middle Atlantic Section, PGA of America e-magazine, "The Professional". 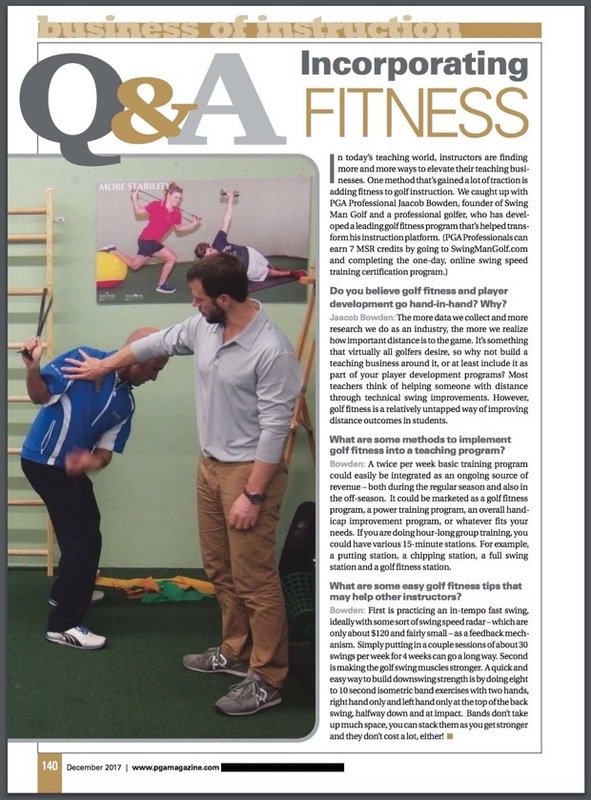 Thanks PGA Magazine for the opportunity to do this Q&A about incorporating golf fitness in to one's golf instructional business in the December 2017 issue. 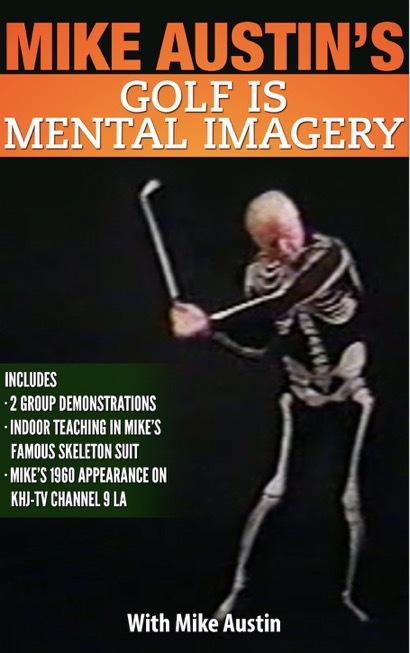 PGA of America professionals can get 7 MSRs for completing Swing Man Golf's 1-day self-paced online swing speed training certification program at https://www.swingmangolf.com/swing-speed-trainer-certification.php. 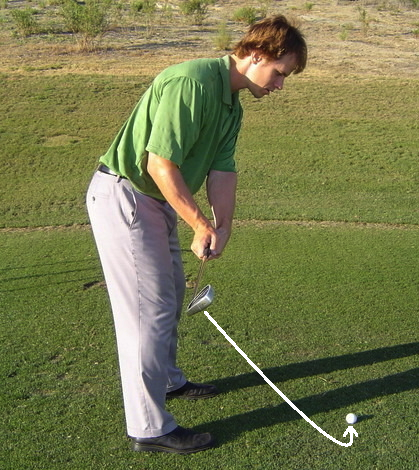 If you follow the sport of long drive (whether as a former competitor like me or as a non-competitor) and are interested in distance, you may have come across this modern idea of squatting down during your swing and jumping up with both legs to get more power as you come through impact, even to the point of coming off the ground. 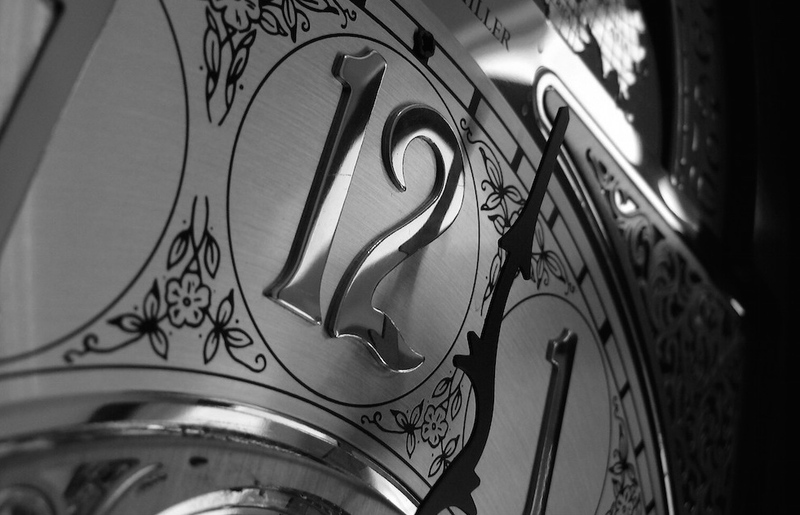 In this two-part article, I’d like to share my current thoughts about this. In Part 1, I’ll go over how I think this two-foot jump concept came about and why I don’t think it’s necessarily a good idea to implement in your swing. Part 2 will discuss the 1-foot “jump” alternative and why I believe it is better. With the two-foot jump, I think this came about from a few things. At some point in the last few years, I recall sitting down for a little meditative-type reflection. I thought about where I had been, what I had done, and what was next for me. As I was reviewing my life and career, it became apparent to me that one of the things I’m good at is making dramatic transformations. For example, I was cut from my high school JV baseball team, yet I went on to be invited to a tryout for the Minnesota Twins at the old Metrodome. I was a sixth man playing high school basketball, and I ended up playing NAIA Division II basketball. After college, I wanted to be in a fitness magazine, so I transformed my body to the point where I made that happen. 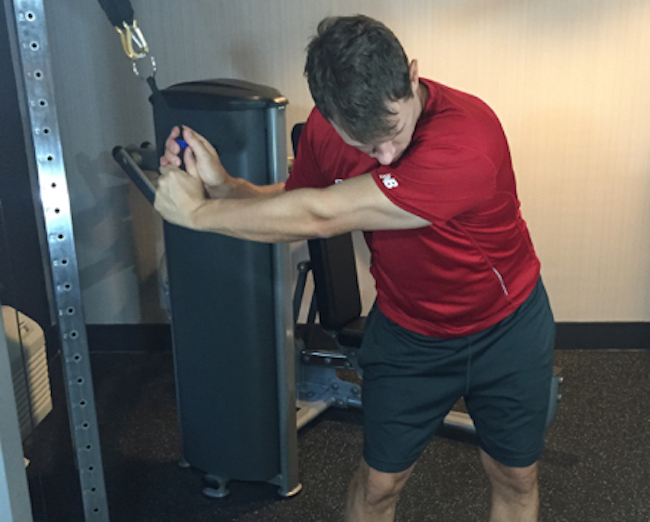 In Part 3, the final part of my “More Distance for Golf” series, we’re going to talk about what you can do to get longer from a golf fitness standpoint. In all of the interviews I’ve done with my professional long drive colleagues and friends via Swing Man Golf, just one of them said they swing as fast as they do naturally. The lone exception, who said his distance was natural, told me in the interview that he’s in the gym 5-6 days/week. 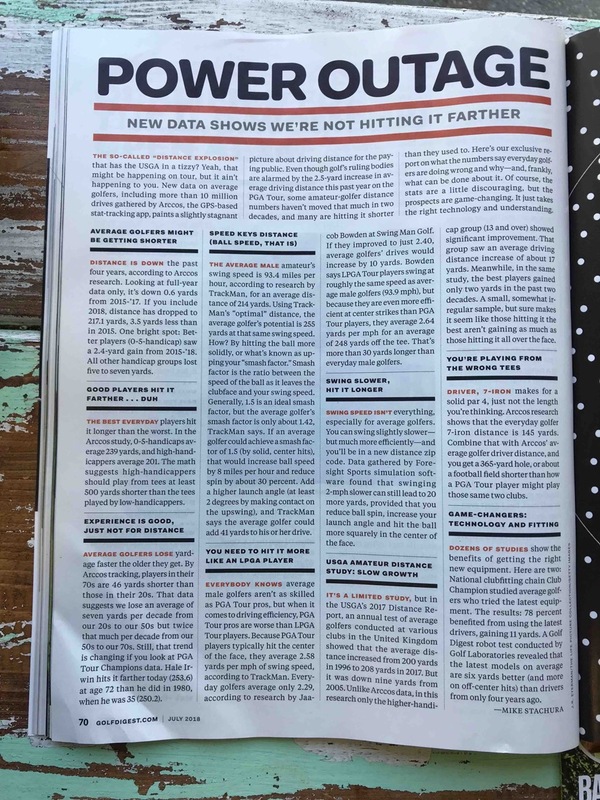 So whether they realize it or not, every single long-drive guy is doing or has done something from a golf fitness standpoint to be able to swing faster to generate more ball speed. So what are some things they do… and that you can do? Earlier this week, video surfaced of Tiger Woods swinging his driver during a practice round ahead of the Hero World Challenge. In taking a quick look at his swing, one thing in particular jumped out at me that I thought I would point out for you. Notice that during his swing, his left foot spins out a bit by the time he gets to his finish. This observation inspired me to write this article, which is a piece I’ve actually had in mind to do for quite a while. In modern golf instruction, it’s fairly common to see setups being taught in which the feet are perpendicular to the target line. Geometrically, this sounds fine and dandy. The problem, however, is that most people in their present physical state don’t have the mobility in their hips to be able to accommodate this type of setup… even many pros. 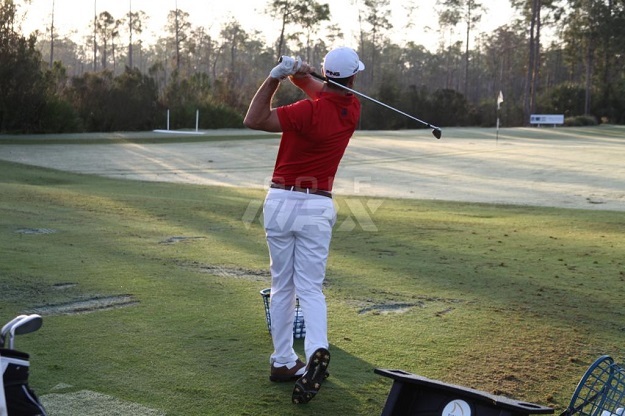 Often times, what you’ll see is that the player will have no problems in the backswing and downswing. 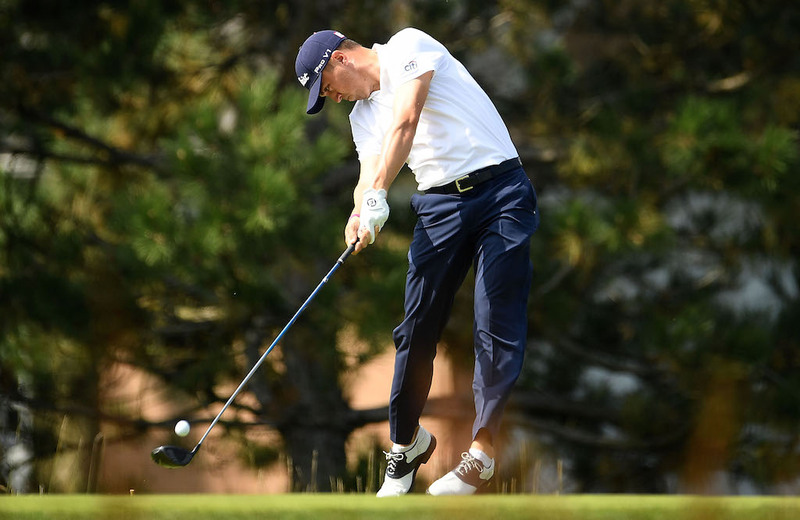 Then at some point in the through swing and/or on into the finish, the lead foot spins out or comes off the ground because it physically is unable to stay in the same place due in part to insufficient hip mobility. This is what you see in Tiger in the above. 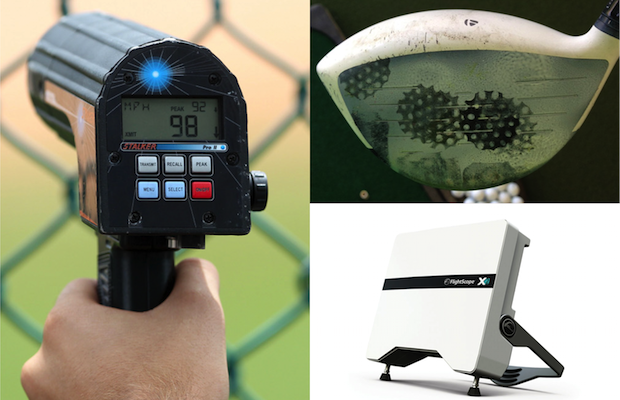 My GolfWRX study on how much distance is lost with age was mentioned at Germany's Golf Post. 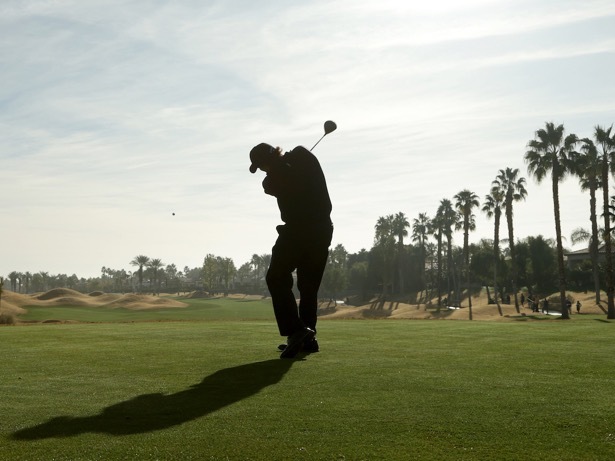 Distance loss can actually be slowed down or even reversed with swing speed training. 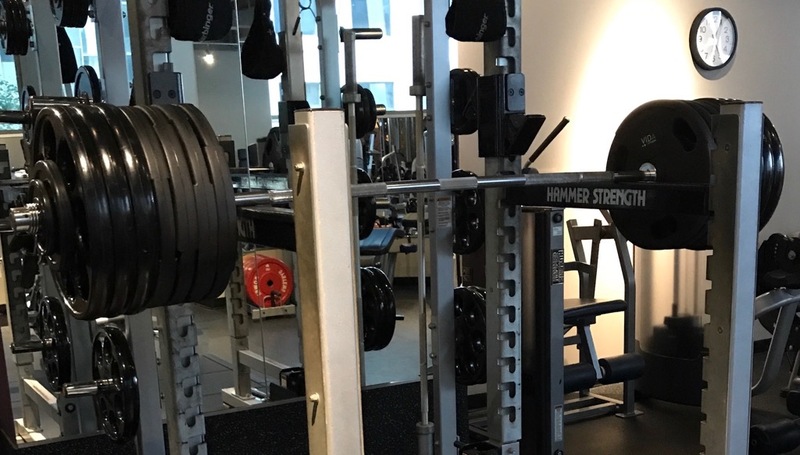 Broke the 600 pound barrier on my half squats. 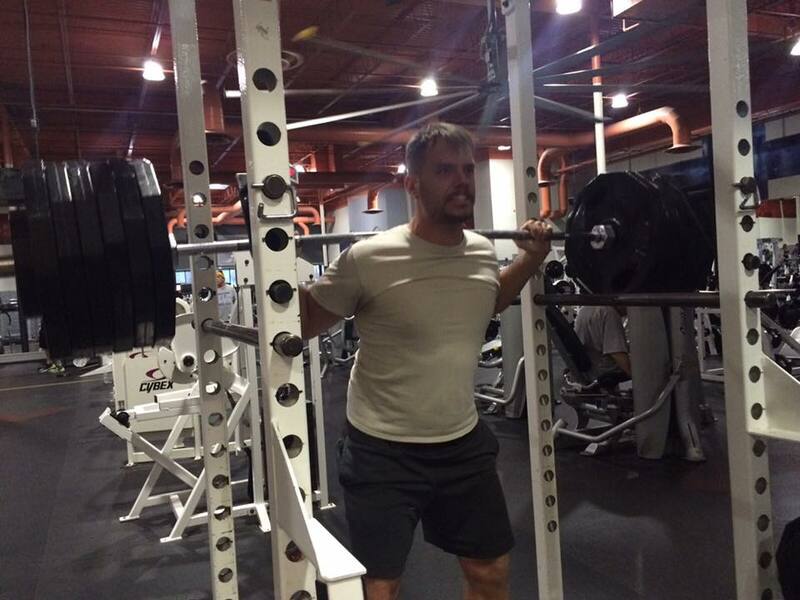 605x1! Probably my last round of golf of the year…and I finished with eagle on #18! 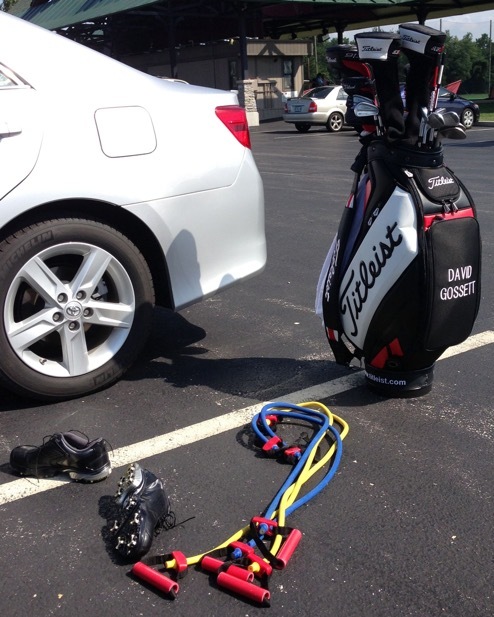 In a previous article, I wrote about how you can build functional speed into your golf swing over several weeks by practicing swinging faster, and using resistance bands to perform downswing band isometrics. Most amateurs and even professionals don’t work on their speed at all, so when you simply put in a little bit of effort to gain speed, you can make very quick improvements. 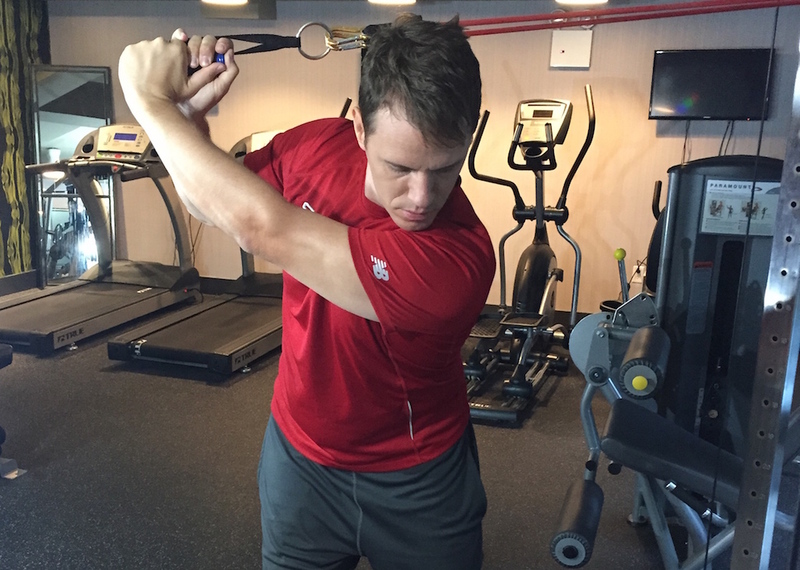 If you’re hungry for more distance, here are 6 additional exercises that you can add into your routine to continue building strength and speed to your golf swing. The bands used in this photo and article are these. If you want to hit the golf ball farther and you’re willing to put in a bit of physical effort to achieve the desired results, then consider adding isometric exercises to your training program. An isometric exercise is an exercise in which a muscle gets contracted but the joint doesn’t visibly move. For example, pushing your hands together as hard as you can will contract the muscles, but your joints don’t appear to move. 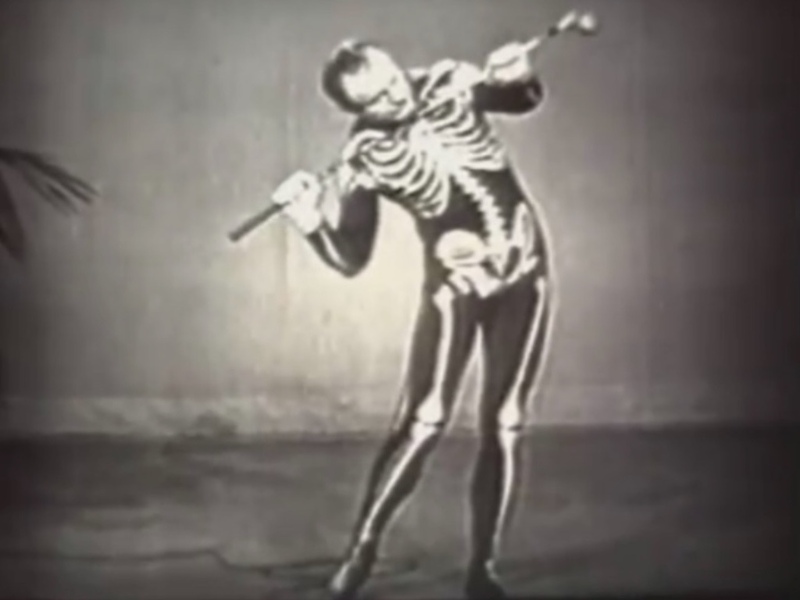 Isometrics have been around for many hundreds, and possibly thousands of years with historical application in activities like yoga and oriental martial arts. Because isometrics do not need much in the way of equipment and can work with just your own body weight, they are relatively safe to perform and are often used in physiotherapy and for injury rehab. Personally, I first remember learning about isometric exercises when I was studying Bruce Lee’s training regimes in an effort to find things that would help with hitting the golf ball farther. As it turns out, they’re wonderful for golf. There seems to be a steady progression of lost driving distance that comes with age, but I don’t recall ever seeing much actual information on the topic. My curiosity got the best of me, so one day I sat down and tried to figure it out. I started by looking up the ages and driving distances of 440 players on the PGA Tour, Web.com Tour, Champions Tour, European Tour and European Senior Tour. Here’s a breakdown of the averages I found in five-year increments, along with a calculation of their estimated average swing speeds based on the average Tour players driving distance efficiency being about 2.57 yard/mph. 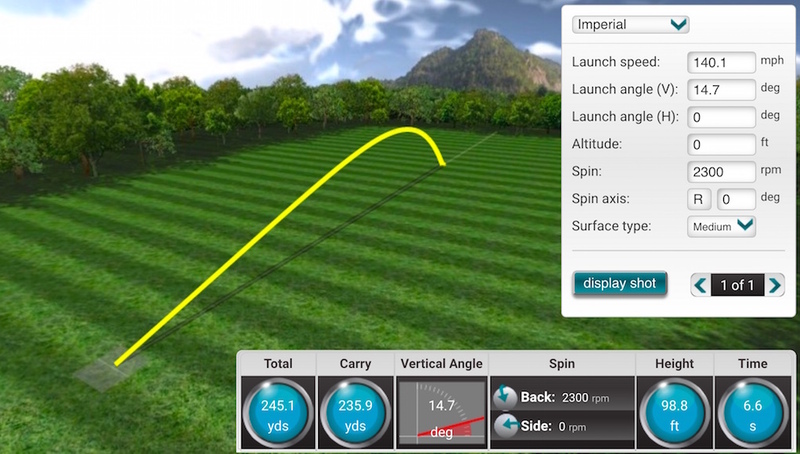 Let’s talk about the three reasons this student was able to achieve the extra 41 yards, because they can help every golfer add distance to their drives. 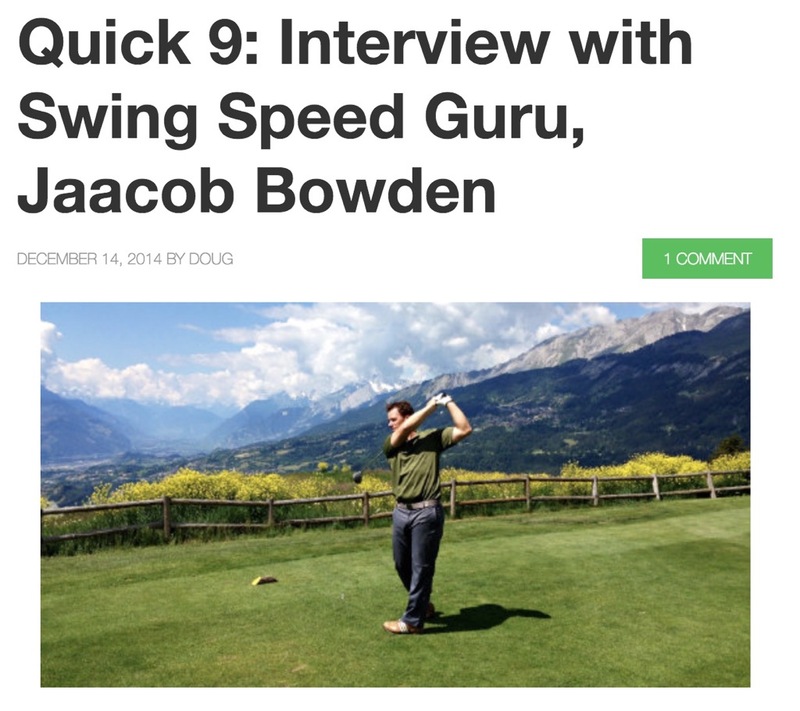 Was recently interviewed by Golf Dash Blog for their “Quick 9” feature Q&A. 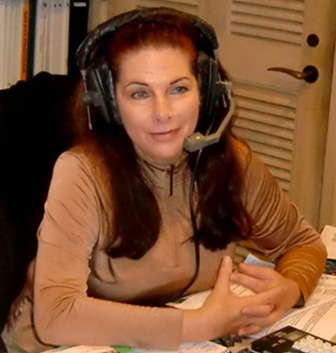 Was invited back as a guest on Danielle Tucker’s Golf Club Radio Show to talk swing speed training and speedgolf. Here’s a link to the show. Taught a continuing education class on “Swing Speed Training” for the Swiss PGA. Had a 412-yard drive on the 466-yard 16th hole at Rustic Canyon Golf Course in Moorpark, CA. 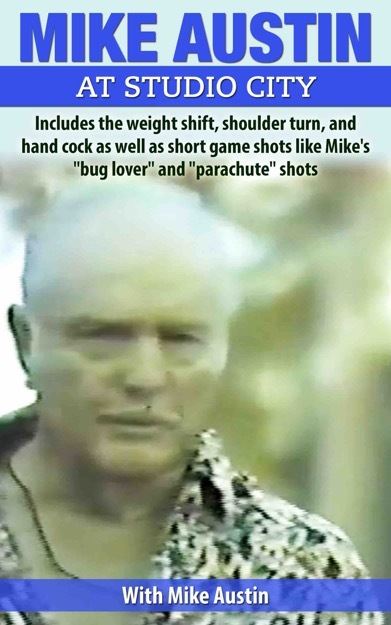 Want to hit it longer? 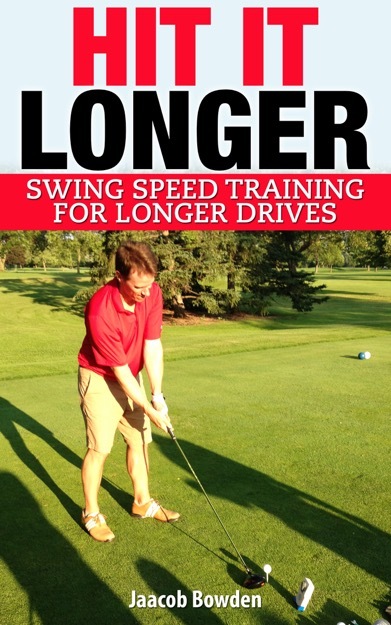 Head over to Swing Man Golf to see my new video called “Hit it Longer - Swing Speed Training for Longer Drives”. Check out my new video “How to Shoot Lower Golf Scores - Take 14 Shots Off Your Handicap”! Excited to be named the Official Swing Speed Trainer for the eGolf Professional Tour. Looking forward to helping the guys hit the ball farther! At the First Tee Driving Range outside of St. Louis helping David Gossett on his swing speed. Hitting drives as the Pro on #11 at Union Hills Golf Course to benefit my alma mater, St. Pius X High School in Festus, MO. In Flint, Detroit, Dayton, Cincinnati, and Louisville. Putting on a swing speed training clinic at Flint Golf Club. Coming up on April 13 at 1:30 p.m. EST (Masters Saturday), CBS will be airing the Speed Golf World Championships from Bandon Dunes Golf Resort, where yours truly notched up a fifth-place finish. For those not familiar with the sport, speed golf combines your normal golf score with the amount of time that it takes you to finish the round. 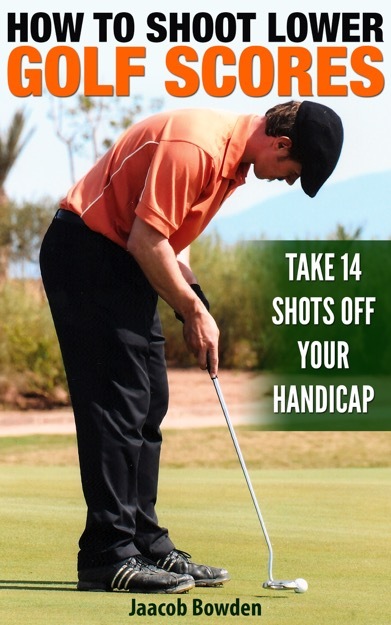 For example, if you shoot 85 in 75 minutes, your speed golf score would be 160. The rules of speed golf are basically the same as regular golf except you are allowed to putt with the flagstick in the hole to save time, and lost balls or out-of-bounds balls are treated more or less as lateral hazards. 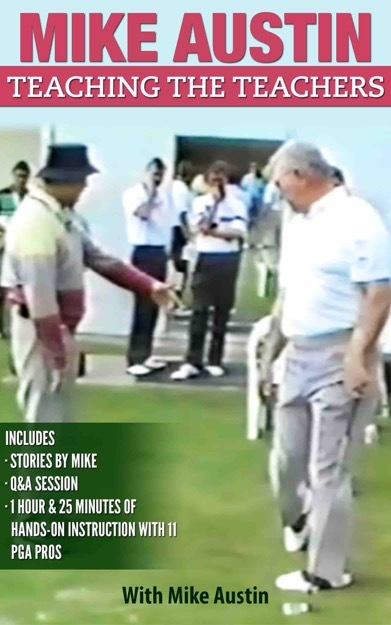 This was done because it was thought to be too severe of a price to pay to not only be assessed the penalty stroke but also the lost time from having to run back to the place where you played the original shot. 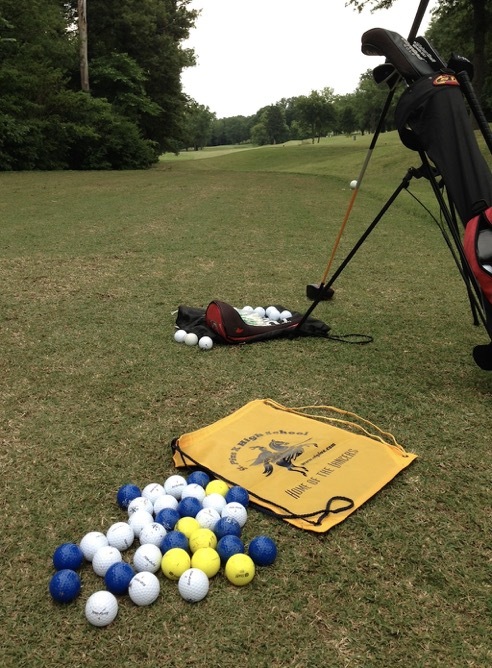 Elite speed golfers can shoot in the 60s and 70s in under an hour. Take a look on YouTube at my friend and fellow speed golfer Christopher Smith as he breaks 70 in less than 54 minutes. Obviously, speed golf won’t be for everyone. 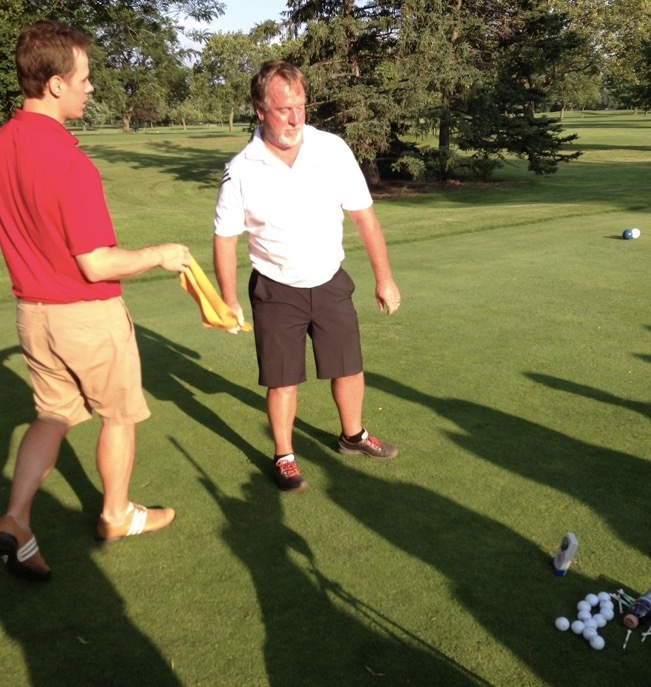 However, there are numerous things that regular golfers could learn from speed golfers to help them play better. One thing in particular that I’d like to bring up in this article is how to control your distances when you are between clubs. Back in January 2003, I was a 27-year old 14-handicapper who had only broken 80 once on a normal length golf course, a 78 at the Walker Course at Clemson University. At the time, breaking 90 was sort of my barometer for playing well. As luck would have it, right after I moved out to California to embark on my golf journey I was taken under the wing of a local Pro named Dan Shauger. By the end of March, Dan helped me add 63 yards to my longest drive and shoot my first 18-hole round of golf under par. Since then, I’ve posted multiple tournament rounds in the 60s and made numerous cuts in professional golf events. My lowest score in a casual 18-hole round of golf is now a 64 (8-under) at GolfPark Otelfingen in Switzerland, where I now reside. Obviously, a lot of people were curious about what I did to make such a dramatic improvement. As I look back in hindsight, here are what I consider to be the three things that had the greatest influence on improving my game and lowering my scores. Before I became a professional golfer, I was a computer engineer and before that I went to college to be a pharmacist. Little did I know at the time that the pharmaceutical courses I took covering physics, anatomy, physiology, kinesiology, etc., would serve me well in my golf career as far as understanding things like angular momentum, pendular motion, coil springs, lever types, joint functions, etc. 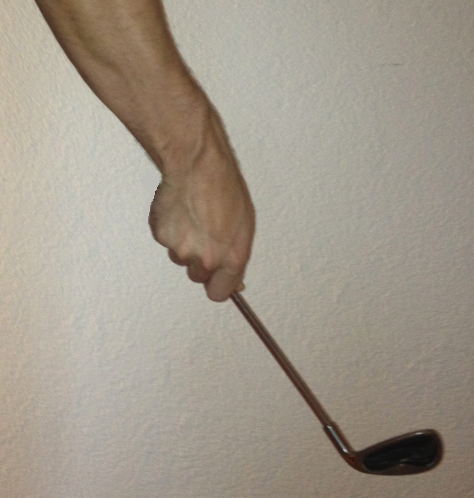 In this article I want to spend a little time going over six actions of the wrists and forearms and then discussing how those actions can affect the golf club. Medically speaking, the six actions are pronation versus supination, radial deviation versus ulnar deviation and palmar flexion versus dorsiflexion. Now for the big questions — what do those actions mean in simpler terms, what effect do they have on the golf club and what are some pros and cons of one versus another? 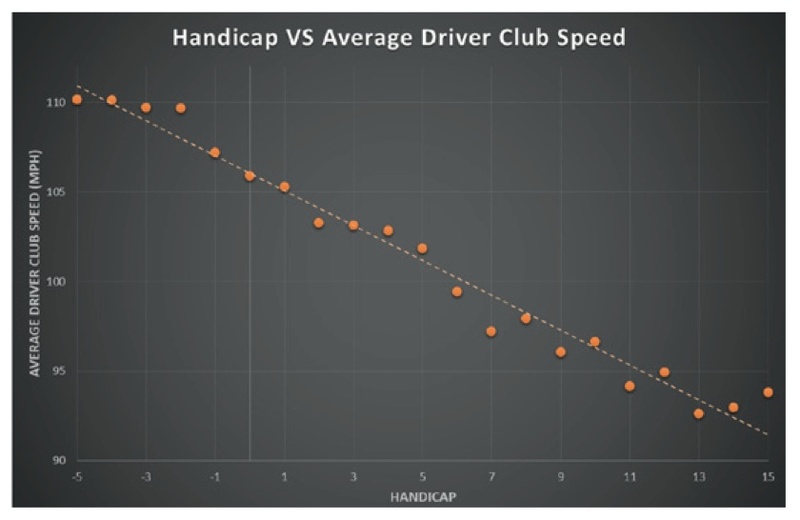 Per a suggestion in the comment section of my last article called “How Far Should You Hit Your Golf Clubs?“, the purpose of this post is to summarize all of the carry distance versus swing speed data that was being discussed in to a summarized reference chart. 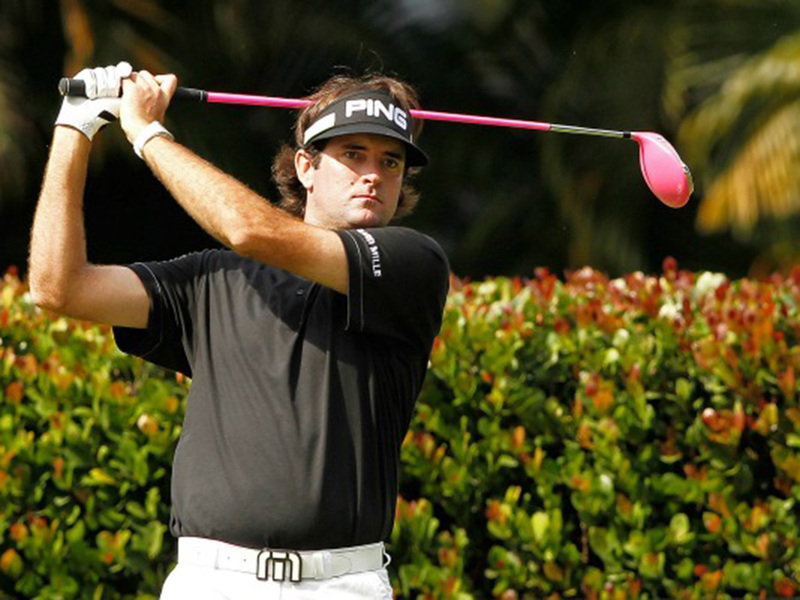 •	The PGA Tour and LPGA Tour numbers were pulled from the Trackman website in 2010. •	The Senior Tour numbers were calculated by taking the 2012 mean driving distance of 273.4 yards per drive on the Senior Tour and back-calculating the other numbers based on the PGA Tour’s average driving efficiency of 2.58 yards per mph of club head speed. •	The average estimated PGA Tour club lofts were taken from 30 players by gathering 2010 club data listed on player websites, what’s in the bag articles and videos, and specifications numbers listed on manufacturer websites. It’s not listed on the chart, but for your interest, the average GW/SW was 53.9 degrees and average LW or highest lofted club was 59.7 degrees. •	The 19.2 degrees that is listed for the 5-wood, hybrid, and 3-iron is an average of the club(s) each player used that was between the 3-wood and 4-iron. This was done because there is such a large variance of wood/hybrid/iron club choice to fill this distance slot from player to player. •	All remaining carry distance data (60, 70, 80, 90, 100, 110, 120, 130 and 140) was calculated based on the average PGA Tour carry distances. 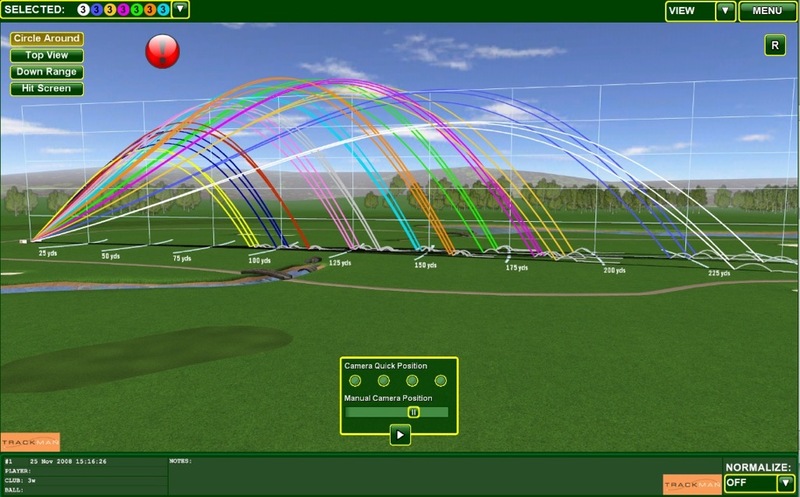 •	The LPGA Tour Trackman data didn’t have numbers listed for a hybrid or 3-iron. Rather they listed a 7-wood carry distance of 174 yards. •	There are limitations to the data gathering, calculations, etc., listed here, so please just use it as a rough guide for yourself. One of the nice things about having all this new fancy technological equipment like Trackman, Flightscope, ShotLink, etc., at various PGA TOUR events is that distance data can be gathered for each of the players. In case you haven’t come across it already, here are the approximate Trackman carry distance averages for men at the professional level. Sometimes it can be a blow to the ego to go to a new course where the ball seems to go nowhere and you just can’t bring yourself to hit 5-iron, for example, when you could normally hit 7-iron. 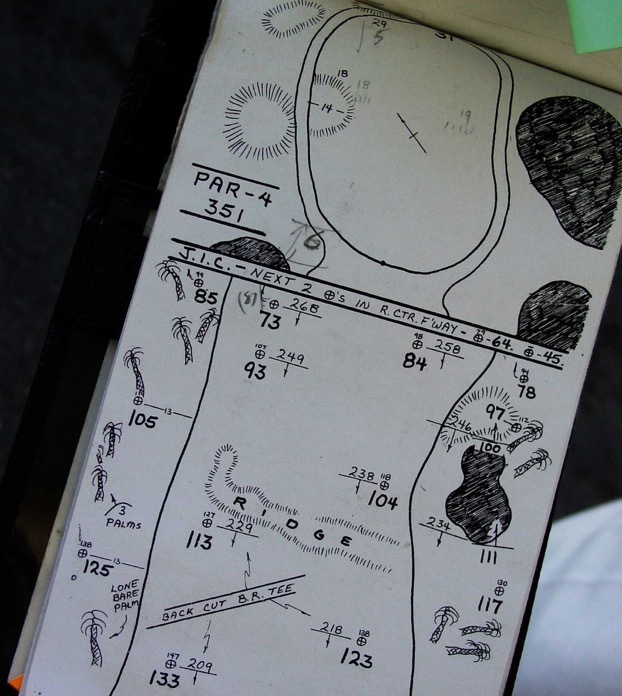 But if you want to score well, it’s something that can be important to understand and accept…that is, that distances can vary quite dramatically from course to course. To illustrate this, let’s take a look at the average driving distances for the field in the following PGA Tour and European Tour events from 2012. 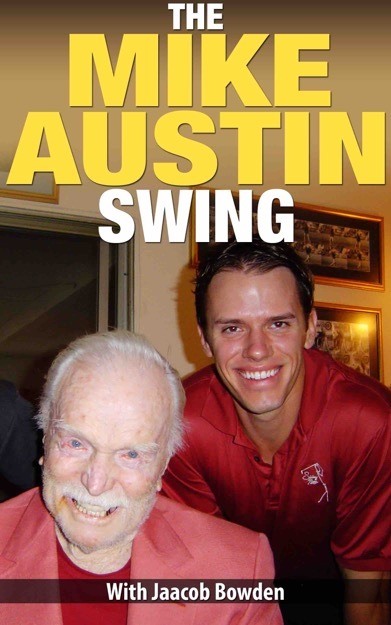 The Swing Man Golf Newsletter for November 2012 is out. 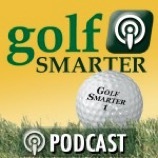 Got invited to go back for the 3rd time on Golf Smarter Podcasts as a guest for Episode #357. 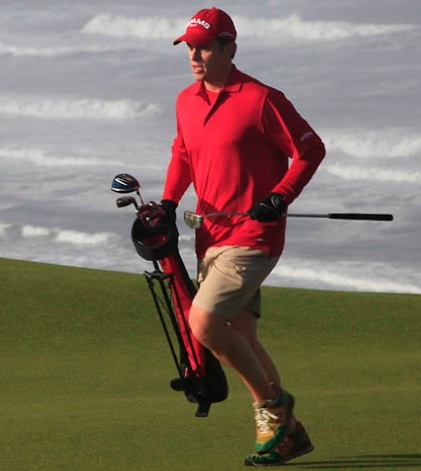 "Jaacob Bowden of SwingManGolf.com came in 5th at this year’s Speedgolf World Championships. He hasn’t been in running shape since since High School, but trained for 2 months running the streets of Zurich with a golf bag over his shoulder to prep for this international tournament. 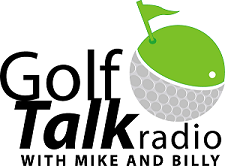 He joins host Fred Greene to discuss the elite class of Speed Golf, how to train, the rules, and the benefits to the mental game that comes with playing at a very, very fast pace." 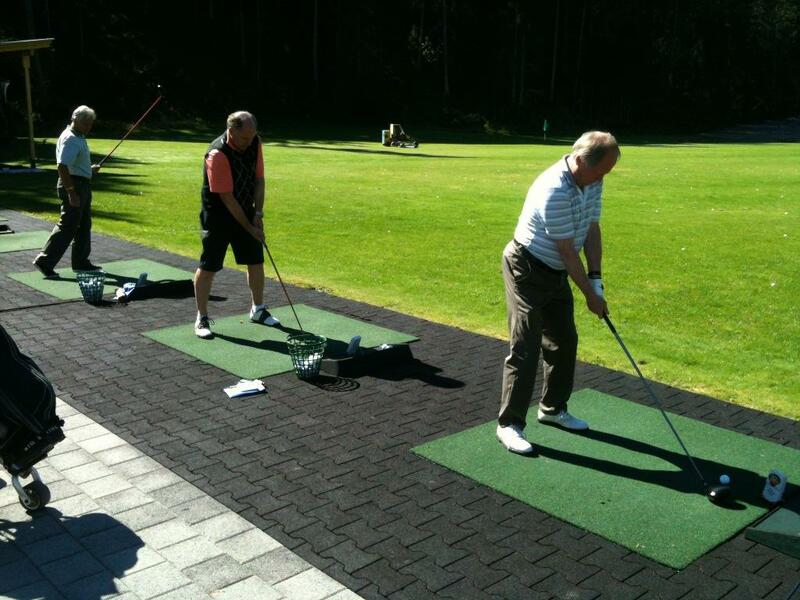 Hosting a swing speed training clinic at Golf Club Bad Alvaneu. 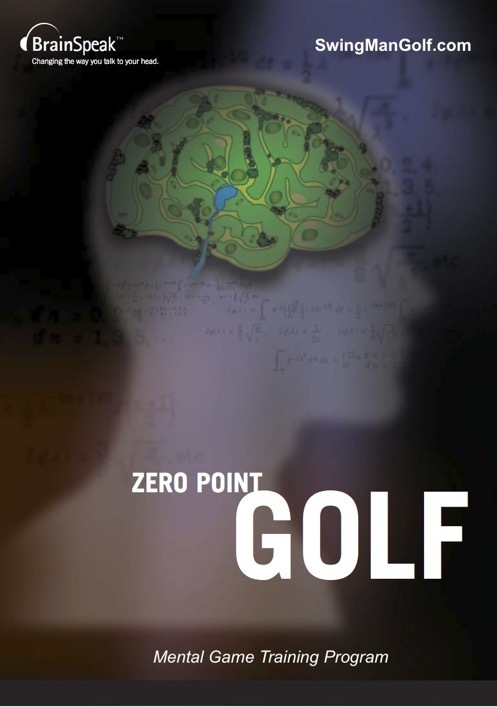 Just launched a great new mental product called “Zero Point Golf”. Learn more on the Products page! 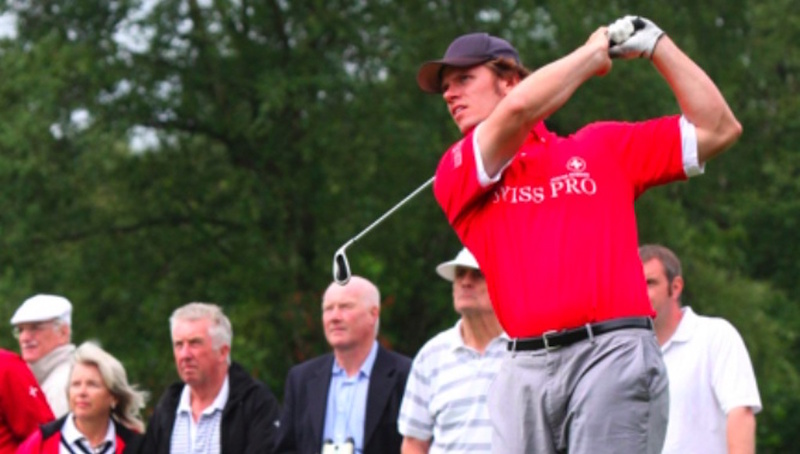 Interested in how I went from an average length hitting 14-handicap golfer to tour professional and long drive champion? Check out my new website SwingManGolf.com!